The announcement of ailing incumbent President Abdelaziz Bouteflika’s re-election bid for a fifth term has proven to be the last straw for the Algerian people. 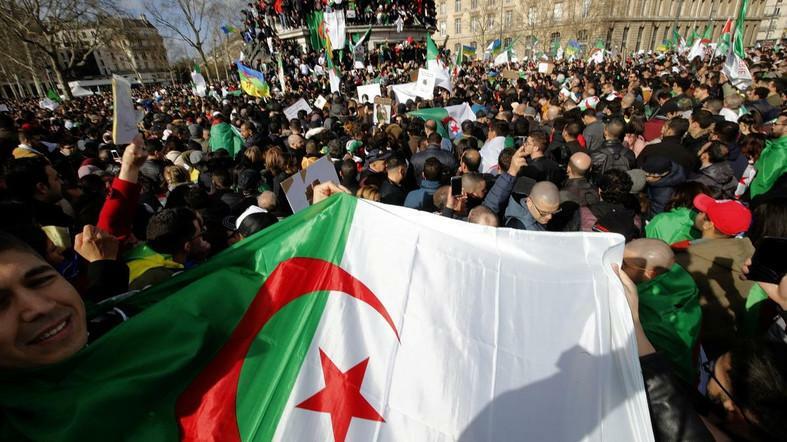 Tired of Bouteflika’s 20-year-rule and his stagnant political regime, Algerians took to the streets in cities across the country in mass demonstrations against the increasingly farcical establishment. 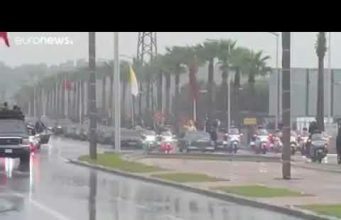 Rabat – It is unclear why the Algerian people waited for this moment to rise up, given that Bouteflika was already weakened by a stroke in 2013, and has been struggling to govern since. Perhaps they were appeased by their relatively thriving economy which was heavily reliant on energy exports. Since oil prices began dropping drastically in 2014, Algeria’s reliance on oil has meant that its economy is becoming increasingly unsustainable. 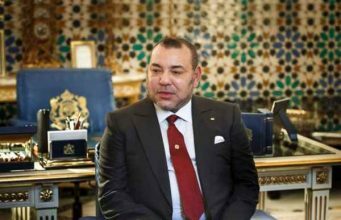 The Algerian people are no longer willing to accept the paralysis of their leadership in the face of the challenges caused by the country’s stagnant economy, rising up in unprecedented numbers in recent weeks. 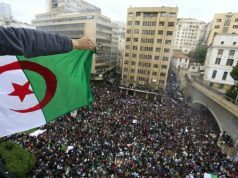 During the Arab Spring, a wave of anti-government protests that swept across the Arab world in 2010, the Algerian people did not demonstrate for two main reasons. 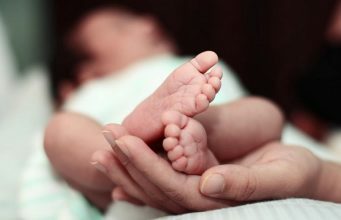 The first reason is the scarring effects on the Algerian psyche of the Black Decade, a civil war between the government and Islamist rebel groups in the 1990s in which around 200,000 Algerians lost their lives. The second reason is that political leaders had promised democracy to the people once peace was achieved, but none of these promises were kept and although the people were well taken care of by the welfare state in terms of their basic needs, they had a dim view of the future and their aspirations were dulled by the limitations of what the state could offer them. 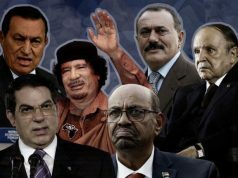 It is widely believed in Algeria that Bouteflika is a puppet of the military regime that governs Algeria with an iron fist. This regime finds its roots in the Liberation Army, which led the war of liberation against French colonialism. 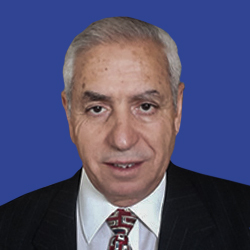 After independence in 1962, the army withdrew from the political scene and gave revolutionary and socialist soldier Ahmed Ben Bella the opportunity to form a government and become the country’s first president. 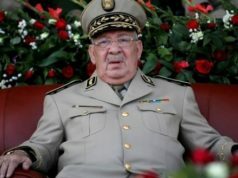 Emboldened by the army’s trust and confidence in him, Ben Bella quickly forgot where the true power lay, and his flippant decisions soon antagonized Boumedienne, a heavyweight of the military, as well as his protégé, a young Bouteflika. 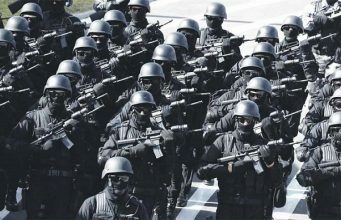 The Algerian army, unlike in the other countries of the region, functions like a powerful secret club headed by forty senior officers that rule the country behind the scenes. 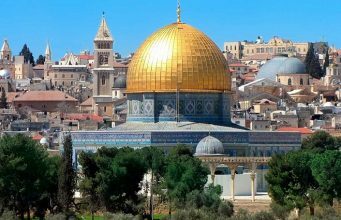 In 1991, the army’s dismissal of the Islamic Salvation Front (FIS), an Islamist political party who were victorious in the first round of parliamentary elections, pushed the country into a bloody civil war which is still known as the Black Decade. In 1999, the army called on Bouteflika to get rid of the Islamist party by peaceful means. The secret of the ruling army’s longevity is undoubtedly their ability to bow and bend in order to eventually achieve their aims. If the people ask the army to relinquish power, will it do so, or will it once again use one of its subterfuges to stay in control? 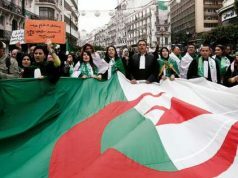 In any case, the Algerian people will no longer stand for a government that doesn’t serve them. 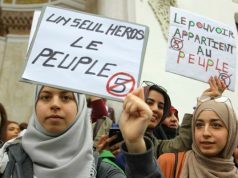 Doubtless, the mass protests are likely to continue in the face of the military’s undemocratic rule until Algerians have a government that they feel truly represents them. 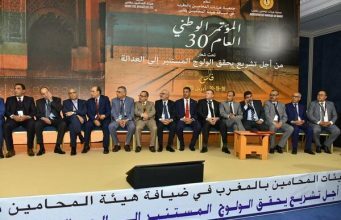 Now, only time will tell if they will succeed in changing the face of Algerian politics and bringing about real change.